Our Royal Albatross family is LGK (male) and LGL (female) and their chick (female) who hatched 24 January 2019. 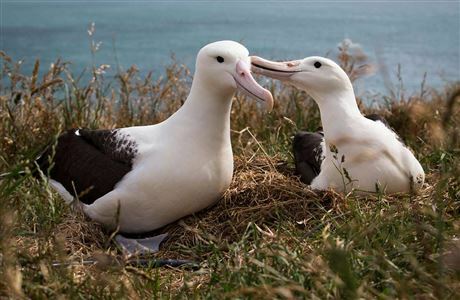 Royal Cam is a 24-hour live stream of an albatross nest during the breeding season. Join the Royal Cam Community discussion. 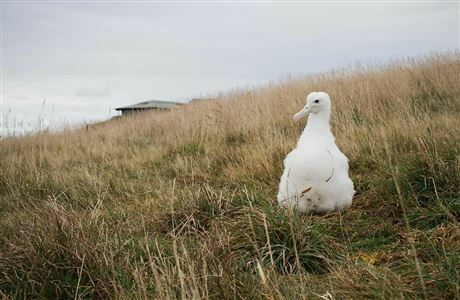 Find out more about this year's royal albatross family and their predecessors. Help our rangers by recording and submitting your royal albatross sightings. See a graph showing the average weight for both male and female albatross chicks. 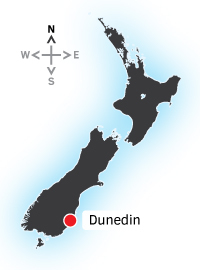 Read a month by month description of what is happening on camera and at the colony at Taiaroa Head, along with some frequently asked questions at each stage. 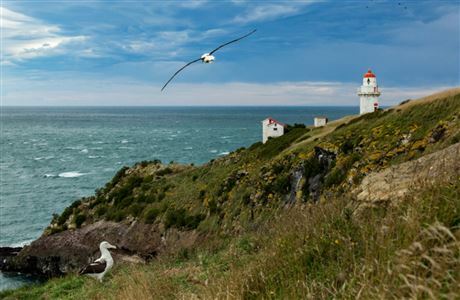 Learn more about the colony at Taiaroa head, the Royal Albatross species and get answers to some of your burning questions. Join the discussion below with the Royal Cam community.